The environmental impacts of the 2011 Fukushima Daiichi nuclear disaster are already becoming apparent, according to a new analysis from Greenpeace Japan, and for humans and other living things in the region, there is « no end in sight » to the ecological fallout. The report warns that these impacts—which include mutations in trees, DNA-damaged worms, and radiation-contaminated mountain watersheds—will last « decades to centuries. » The conclusion is culled from a large body of independent scientific research on impacted areas in the Fukushima region, as well as investigations by Greenpeace radiation specialists over the past five years. high levels of caesium contamination in commercially important freshwater fish; and radiological contamination of one of the most important ecosystems – coastal estuaries. The report comes amid a push by the government of Japanese Prime Minister Shinzō Abe to resettle contaminated areas and also restart nuclear reactors in Japan that were shut down in the aftermath of the crisis. According to Greenpeace, it’s not only the Abe government that holds « deeply flawed assumptions » about both decontamination and ecosystem risks, but the International Atomic Energy Agency (IAEA), too. Indeed, the failures in the methods used by the IAEA to come to the « baseless conclusion » that there would be no expected ecological impacts from the Fukushima disaster are « readily apparent, » the report claims. In September, Greenpeace Japan blasted the IAEA for « downplaying » the continuing environmental and health effects of the nuclear meltdown in order to support the Japanese government’s agenda of normalizing the ongoing disaster. Meanwhile, the Union of Concerned Scientists (UCS) charged on Thursday that the U.S. Nuclear Regulatory Commission (NRC) has also failed to learn lessons from the Fukushima meltdown. In its report, Preventing an American Fukushima, the group states that five years after the nuclear accident, the NRC « has made insufficient progress in improving U.S. nuclear power safety » while implementing « half-baked » reforms. « The NRC and the nuclear industry have taken steps to address some of the safety vulnerabilities revealed by the Fukushima disaster, » acknowledged report author Edwin Lyman, a UCS senior scientist and co-author of the 2014 book, Fukushima: The Story of a Nuclear Disaster. 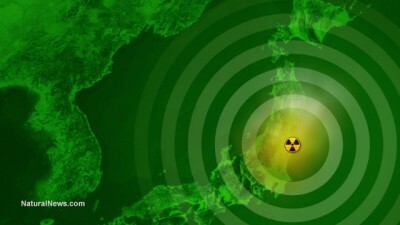 On March 11, 2011, a massive earthquake off the coast of Japan triggered a tsunami, which in turn produced equipment failures and the release of radioactive material at theFukushima Nuclear Power Plant. The disaster is the single largest release of radioactivity into the ocean and one of only two Level 7 nuclear disasters in world history—the other being Chernobyl.